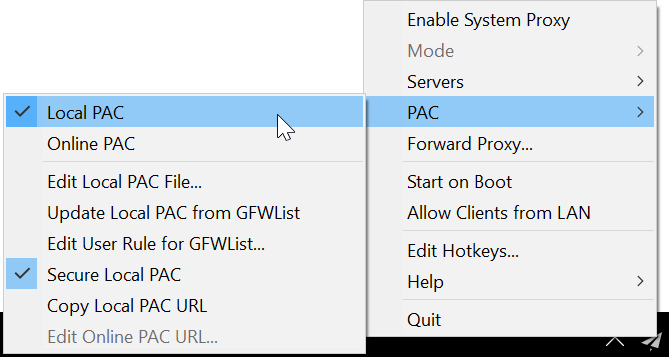 Install the Shadowsocks client. This is the app that you will be using to connect to our Shadowsocks server. 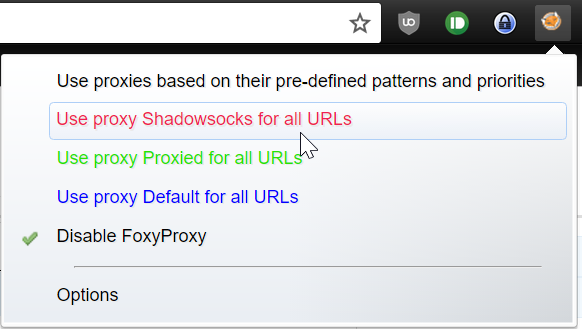 Click on the following links for your Windows OS to get the latest Shadowsocks client. The user interface is the same across both Windows and Mac. Copy the following strings into your clipboard before proceeding. Once you’ve installed the client, run it. Look for this icon in your toolbar and right click on it. 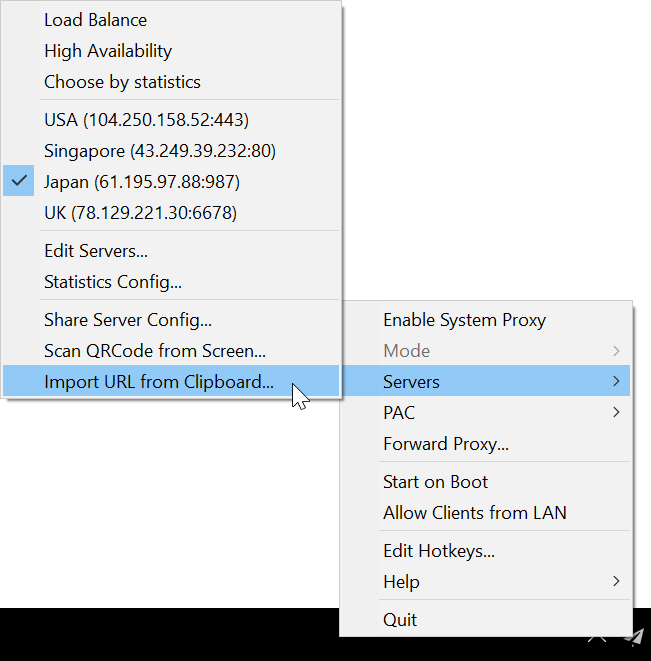 Go to Servers and click Import URL from Clipboard. 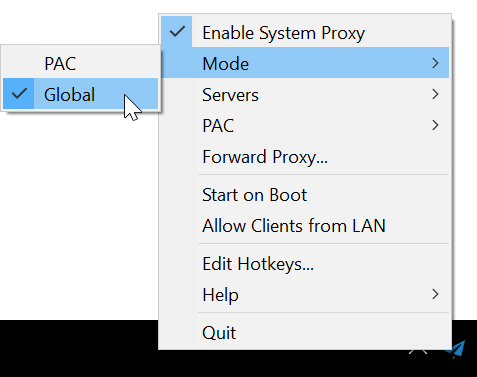 Enable System Proxy, then click on Mode and set to Global. Install it, right click on the icon and select Options. Configure as follows.